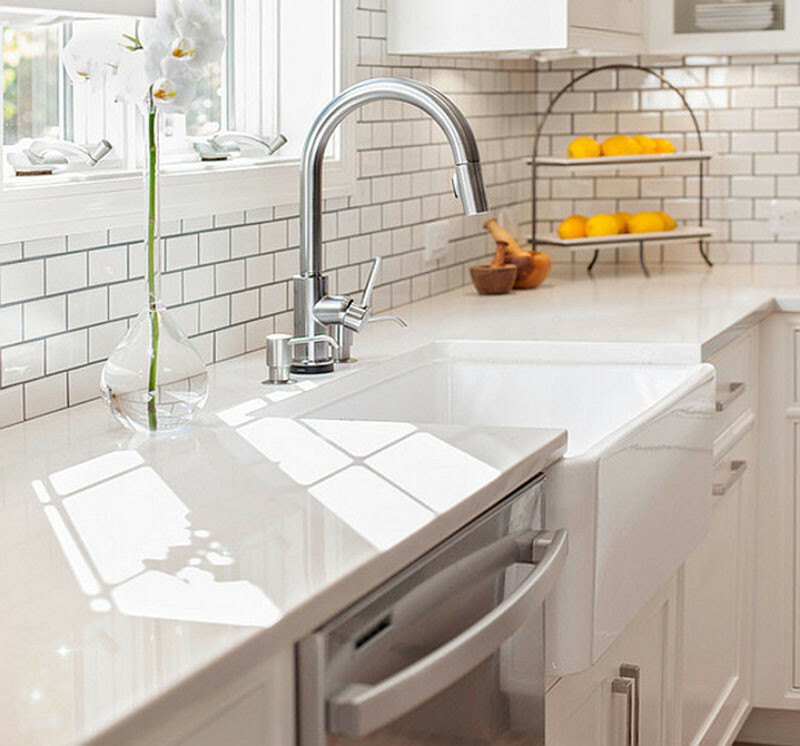 Farmhouse sinks, sometimes also known as apron sinks, are normally thought of as a more traditional element in a kitchen, however, we’re seeing more and more of them sneak into contemporary homes since they’re being produced in contemporary styles. 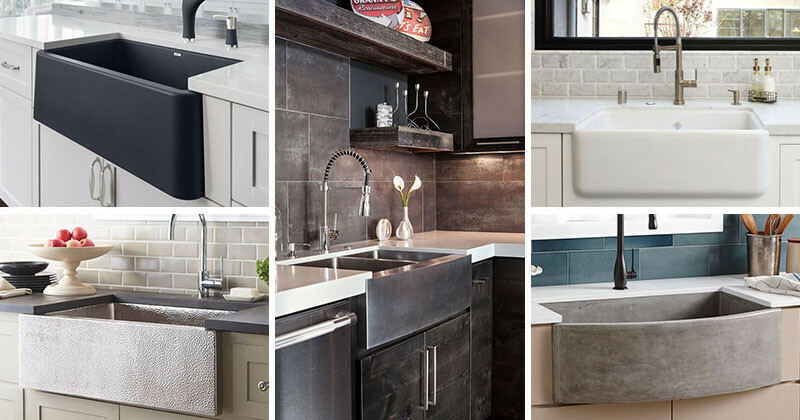 Here are 9 examples that prove how contemporary farmhouse sinks can be. 1. 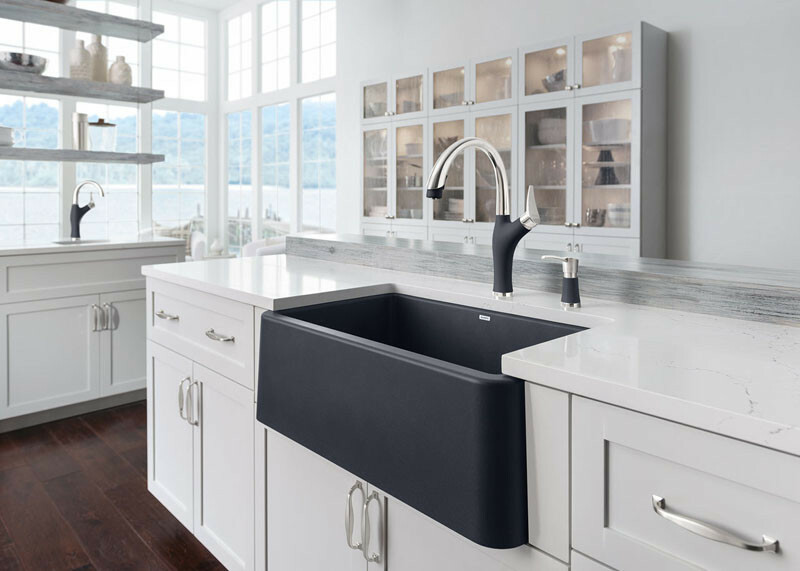 This black farmhouse sink is in direct contrast to the counter and cabinets, making it a bold statement piece. 2. 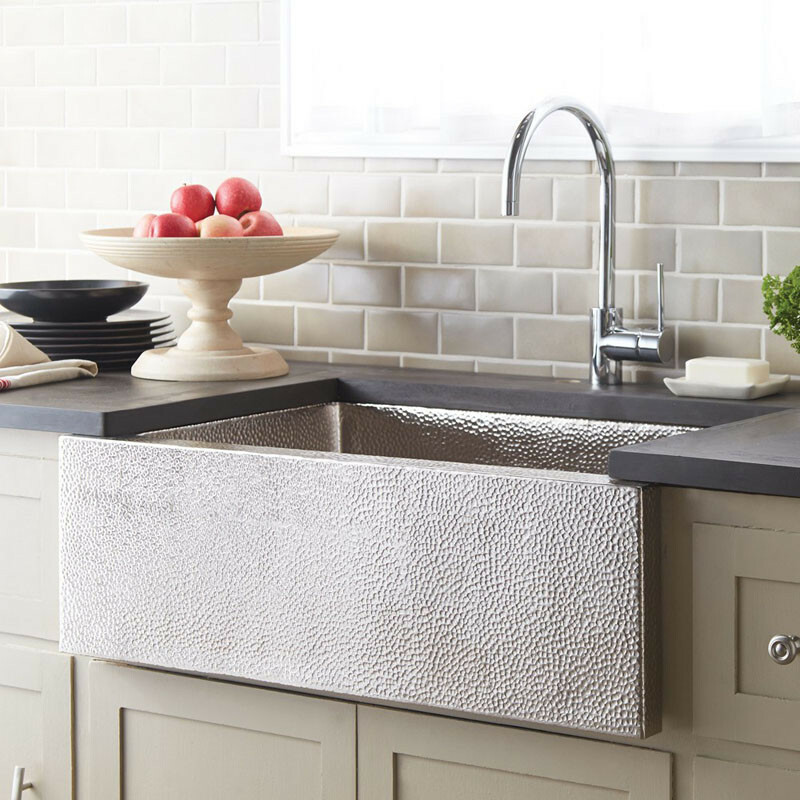 This nickel farmhouse sink adds a bit of texture to the kitchen. 3. 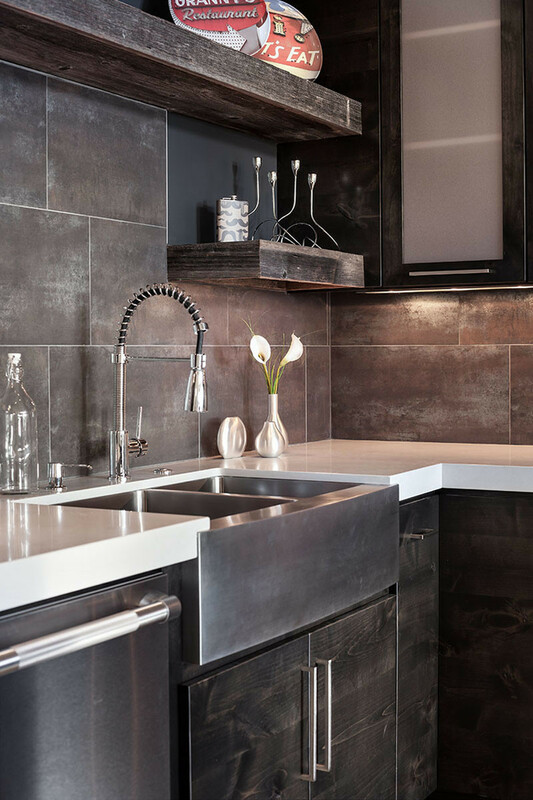 You can add a stainless steel farmhouse sink to create a more industrial look. The Crenshaw Drive Residence by Jordan Iverson Signature Homes. Photo by KuDa Photography. 4. 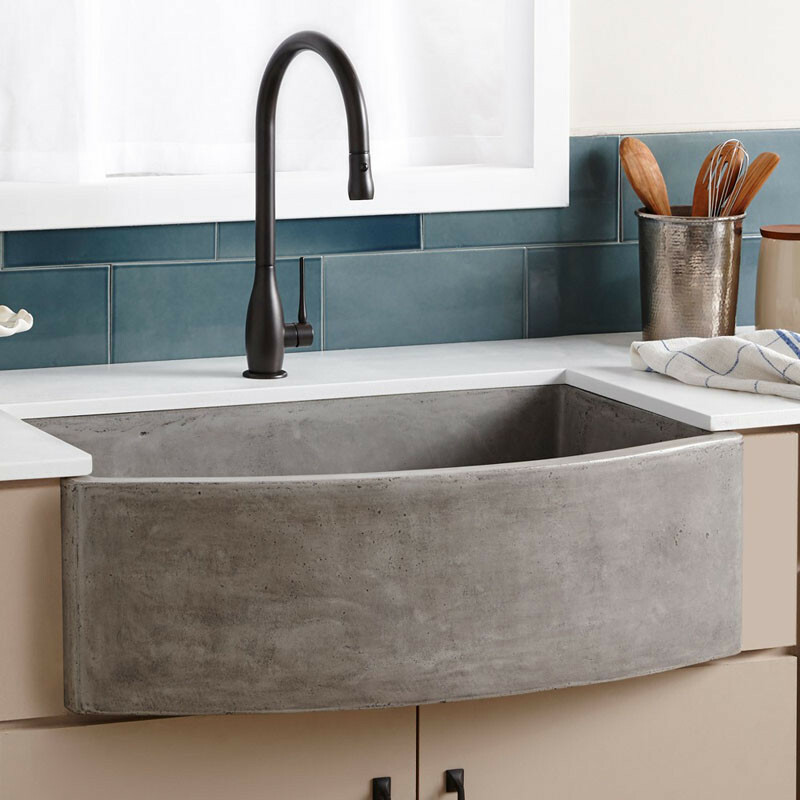 This farmhouse sink made from NativeStone, a combination of jute fiber and cement, adds a concrete touch to your kitchen. 5. Create a solid look by matching the color of the farmhouse sink to the counters and cabinets. 6. 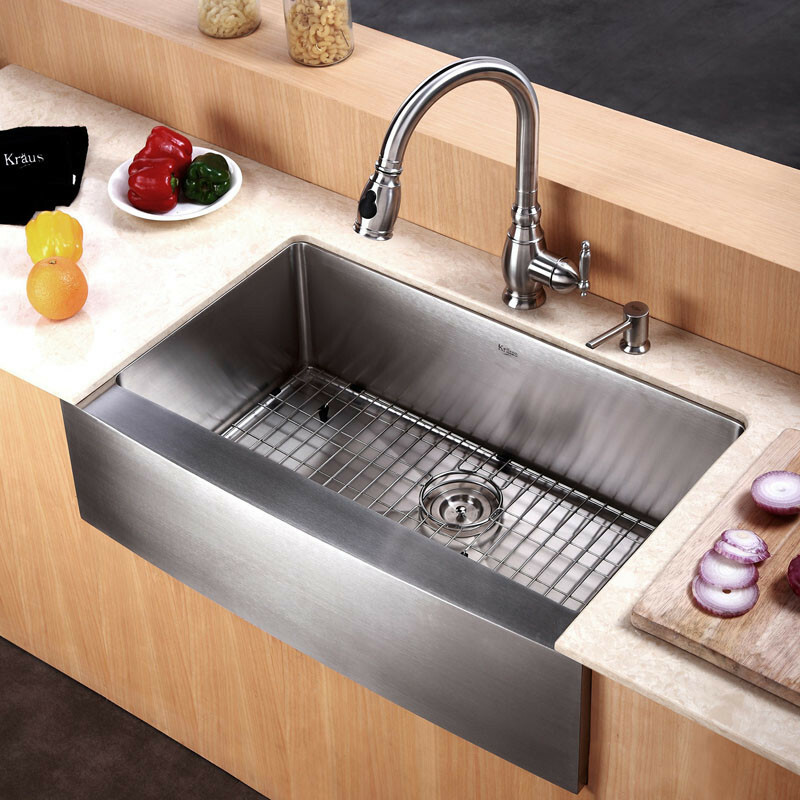 This farmhouse sink has a curved front base, which helps to soften the straight lines of a contemporary kitchen. 7. 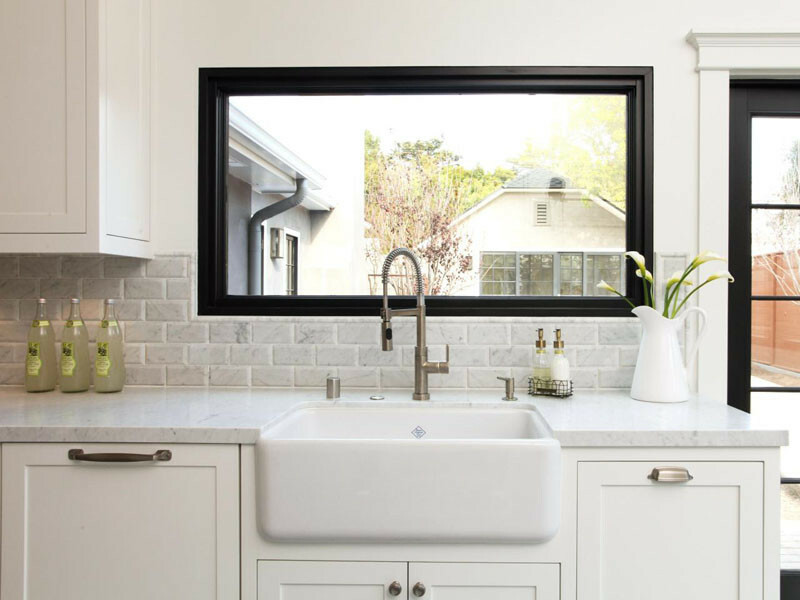 This white farmhouse sink blends in with the cabinets, that contrast the dark countertop. 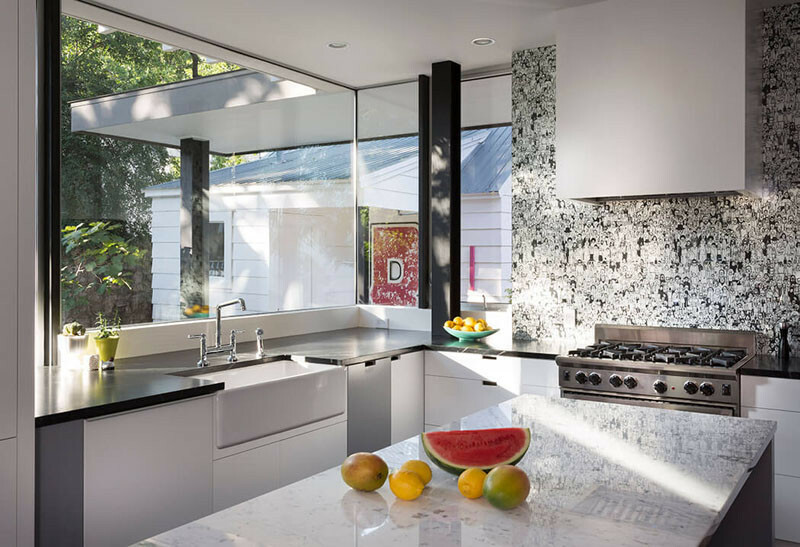 Kitchen designed by Hugh Jefferson Randolph Architects. 8. 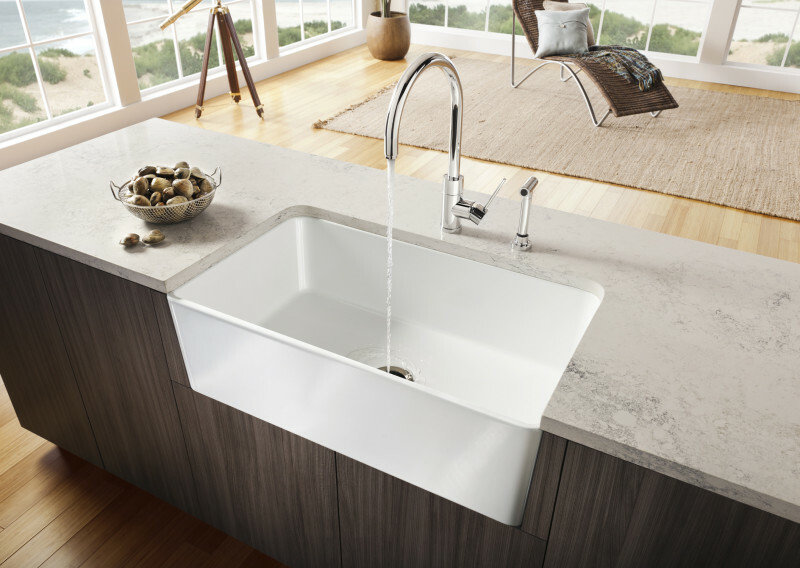 Match your farmhouse sink to the faucet, like this stainless steel one. 9. Include a deep farmhouse sink in your kitchen island to make food prep easy.